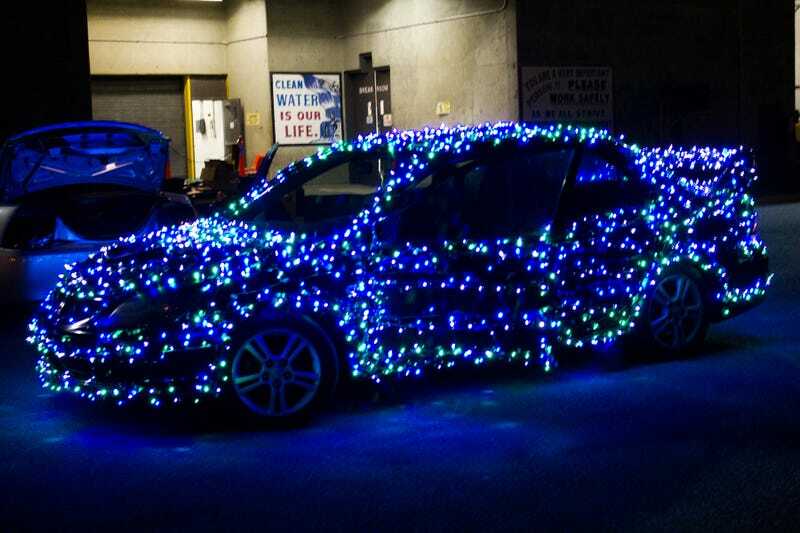 What's the best way to affix festive lighting to a car? It’s my intention to spread lots of holiday cheer this month. What’s a good way to add festive accessories without damaging a car’s paint? I’ll probably do a lot less than what’s in the picture, just certain contours of the car.